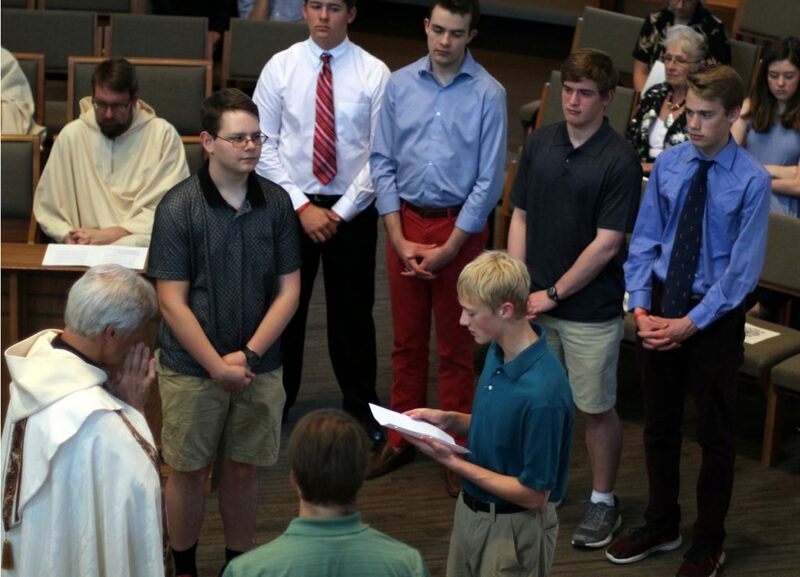 At Vespers this past Sunday, ten students professed their oblation before a gathering of family members, monks, and fellow Oblates both student and adult.They read their Oblation before the Abbot and then sign their document and placed it upon the altar. Afterwards a reception was held in the Monastery. 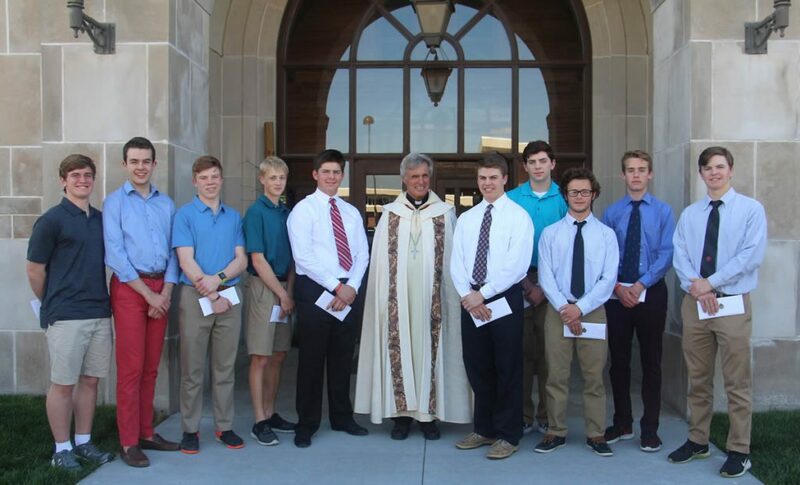 Trevin Detwiler, Dash Wedergren, Kolton Koubsky, Alex Payne, Evan Schroder, Abbot Michael, Ben deMayo, Will Janecek, Ben Goetz, John Scholl, and Sid DeMayo.